Dallas Cowboys linebacker who was selected in the 2nd round of 2010 NFL Draft. A tackling machine, he became one of the Cowboys' defensive leaders, although injuries hampered his first few years in the league. 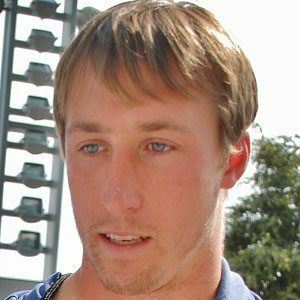 He played his college ball under Joe Paterno at Penn State University, where he was named the 2007 Alamo Bowl Defensive MVP. He made his first Pro Bowl in 2015 and followed it up with his second Pro Bowl a year later. He was also named first-team All-Pro in 2016. He was born in Upper St. Clair, PA to parents Craig Lee and Jennifer Lee. His brother Conor was a kicker at the University of Pittsburgh, and his sister Alexandra was a student athlete in high school as well. He has been coached by Jason Garrett and Wade Phillips as a member of the Cowboys.